The more crowded traffic conditions coupled with congestion, it makes driving model to stop and go. If using a car with a manual transmission, then the legs will be easily tired because they must often step on the clutch pedal deeply. This then makes the car with a matic transmission more attractive. Moreover, coupled with the better technology of automatic transmission on the car. For those who are accustomed to driving a car matic certainly think that driving a car matic is very easy. But not so with those who are accustomed to driving a manual car, or also a new one will learn to drive a car. Still needed the process of adaptation and learning about how to drive the correct car matic. Actually, in the manual of course explained some important features that exist on your car before you ride. But to help make it easy, here are some tips to learn driving a matic car for beginners who are just learning to drive a car, or have never been driving an automatic transmission car. Matic car certainly has a different steering wheel with manual transmission car. For example, there are only two pedals that accelerate pedals (gas) and brakes without any clutch pedal. 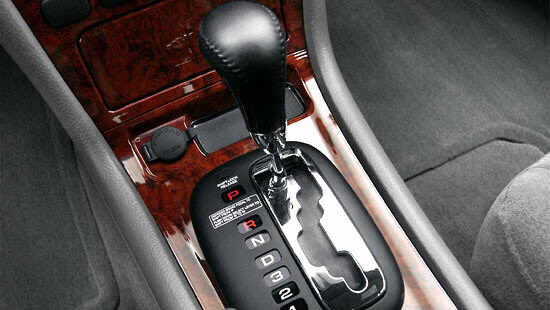 In addition the matic car transmission lever is also different and comes with letters. In the automatic car transmission lever panel is always equipped with several letters. Generally the letters are P, D, N and R. Some of which may be different are the presence of numbers 3 and 2, the letter L or number 1, the letter B and the + and - sign-. ?D: Used to make the car move forward when the accelerator is stepped on (Drive). ?R: Used to make the car move backwards. ?P: Used when the car stops in the old condition or parking. ?N: Used when the car paused. For example a red light or a standstill. ?B: Brake or boost. Usually in CVT matic car. Used to get the engine brake when the street is down, and raise the RPM while on the road uphill. ?Number 3, 2 and 1 / L: Functions the same as manual transmission position in car. Approximately to overdrive the transmission of the car when it requires acceleration, power or engine brake. Once you know the features and driving tools on your matic car, it's time to start the car engine. But before turning on the engine, make sure the transmission lever is in position P or N. Thus, the car does not run immediately when the engine is turned on. In manual cars, most people rely on handbrake and clutch when new will put the teeth into position 1 and will start running. But in automatic transmission, you have to be a little more careful. Make sure you've stepped on the brake pedal before replacing the transmission lever. This is to prevent the car from running as soon as the transmission lever is in or passing R or D position. Usually, when the car is parked from position P and will go forward, the transmission lever will pass the position R. If not step on the brake, let alone hand brake has been removed, then the car will immediately move backwards. This is what often causes accidents in the parking lot. Once you understand the early workings of driving a car matic, then first identify the character of the car and the transmission of your matic car. After that, then learn how to overdrive, engine brake or also hold. The latest car matic of course has been equipped with the latest features also on the transmission technology. Understand well to make it easier for you to control it. Almost every car owner in the world has the same habit, ie heating the car engine in the morning or before use. There is nothing wrong with the habit, it's just that along with technological advances in the engine of the car turned out to make the necessity to heat the car becomes increasingly reduced. This is because of the existence of the Electronic Control Unit (ECU) which regulates fuel and air requirements for the combustion process to be more optimal. So heating the car to reach the optimal temperature of car engine combustion is no longer needed. However, that does not mean heating the car is really not needed. Ideally, if the old car is not used (eg 6 hours or more), usually overnight and will be used in the morning, then heating the car is done for approximately 1 minute only. More than that, then the rest is just a waste of fuel alone. But keep in mind, this is for the latest output car that has brought the injection technology. Some other things to note regarding the habit of heating the car engine is the presence of engine lubricants. It is said, after a long time not used then the engine lubricant oil will fall and no longer coat components in the machine. This is not entirely true, as it turns out that the lubricant is now capable of remaining and 'binding' to the engine components when the car is not in use. Therefore, one minute time is enough to re-lure the lubricant to work optimally. Condition, you use a car lubricant in accordance with the provisions of the vehicle manufacturer. If your car still includes an old car, or a car that uses a carburetor, then heating the car is still a necessity that is slightly more important than the latest car engine. However, no need to heat the car up to 5 or 10 minutes. Actually, the time required is between 2 to 3 minutes. And keep in mind, when heating the car, no need to step on the gas car too deep. Let the car be in stationary condition only. And do not turn on the car air conditioner when heating, unless the car will be used in stable condition. This aims to make the engine work is not too heavy. Once considered enough, then please drive your car to use. But at the beginning, just walk slowly. Suppose to get out of the garage home and out of the complex. In this way, the car engine will be more stable. When the car is running, occasionally press the accelerator pedal deep enough (in the clutch conditions stepped on) to menggeber engine so that dirt and crust are contained in the engine can come out and wasted through the exhaust. Not necessarily too often, maybe only once a week. Next is when you heat up the car, make sure you do it in open space. Usually, many people will park the car in the car garage inside the house. When the morning will heat the car, first open the garage door to the width of free air in and out. 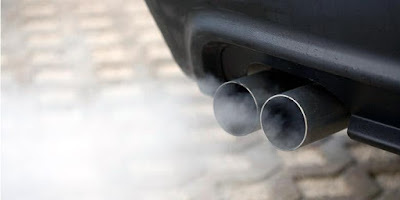 When heating the car engine, exhaust emissions from the exhaust will become pollution and toxins that are scattered in the air. If you heat the car in a closed garage, it is very worrying if the pollution will actually go into your own home. Hygiene of the car is not just from the thing that looks straight. For example car body that is always washed and polished, or a diligent interior cleaned. Parts like car glass, although always look fine it should get special attention. Especially from the invisible oil layer resulting from air pollution. Spots or layers of oil that is on the glass is very annoying and of course annoying. This is usually caused by air pollution and vehicle exhaust fumes. Not only windshields and windows, but also the rearview mirror and mica lights. The oil layer that has been too long will make the view becomes less clear. And on the lamp mica, it will make it look blurry and the glow of the light becomes reduced. At night, layers of oil stains on the car winds and mica lights will also make the drive becomes disturbed. The light from the front of the vehicle will glow (break) so blinding and can threaten safety. Therefore, then cleaning the greasy car glass is a very important thing to do. To know the characteristics of the greasy car glass and should be cleaned quite easily done. When washing the car, pour water into the windshield and wipe it with your hands. If there is water left on the glass, it is time for the car's glass to be cared for and cleaned of oil. 1. Wash your car glass clean. Washing can be done as usual, by draining the water until the dust and dirt is lost with water. Next dry the glass surface until it is completely dry and no water left. 2. Apply or spray the glass cleaner until evenly distributed. But for some brands, it is advisable also to apply cleaning fluids gradually and per-section. The goal is to be more evenly and maximally. 3. Let the cleaning fluid react. At least let stand the fluid that has been applied for 5 to 10 minutes. But also note the instructions for use. There is a cleaning fluid that takes longer to work optimally. 4 Clean with microfiber cloth. When cleaning, it is recommended to use a wetted microfiber and squeezed until moist only. The goal is that the rest of the cleaning fluid is perfectly lifted. This method can also be done to clean the oil layer on the mica car lights and rearview mirror. It's just for the two places it is recommended to just smear and clean, no need to be pressed. This is because the material of the lamp mica is more easily scratched than the car glass. While the rearview mirror is generally a layer that can be thinning and faded if too often rubbed. Although already applying the driving technique eco driving, of course the results will be less than the maximum if you do not pay attention to the condition of the car being driven. 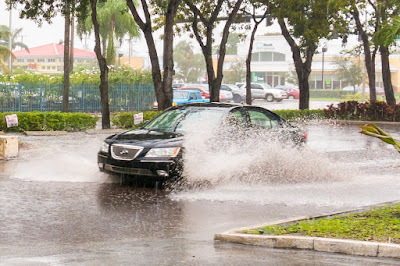 Therefore, to help your fuel-efficient driving techniques, you should consider some things on the car that must be prepared. Based on some reference and technician experience in various workshops, driven cars and how to drive each other to achieve fuel efficiency while driving. Once you know how to drive a good, then the following things to note on the car to be more fuel efficient. Each car has a specification of the machine, precisely different compression ratio. The compression ratio determines what type of fuel you should use. If you use less suitable fuel, the burning on the engine will not be perfect. For example, if the machine needs the machine is octane RON92 but you instead use RON88, then the machine will be under power and make you have to press the gas deeper to get the engine power. 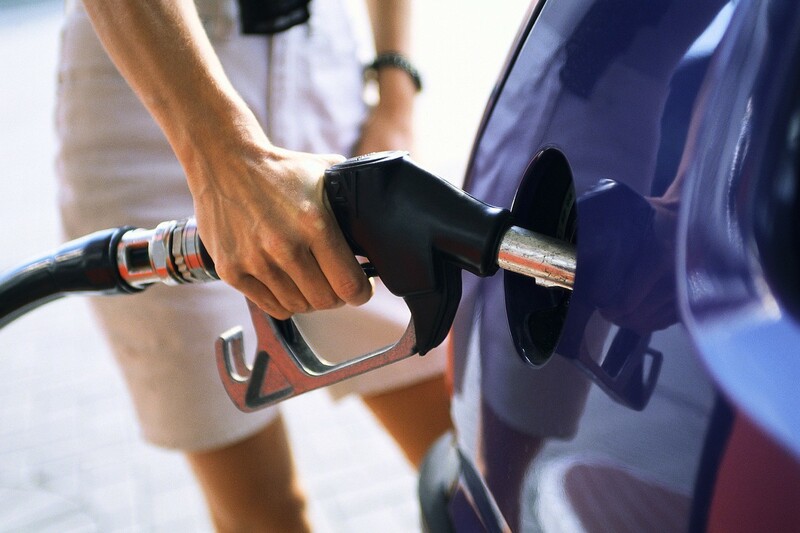 Conversely, if you use gasoline with octane exceeding the need, then there will be the rest of the gasoline that is not burned and wasted through the muffler. How often do you notice the wind pressure on your car tires? Perhaps the answer is only when you feel the car tire looks flat or less wind. Though the correct tire pressure wind car will help ease the car engine workload. When the tire is less wind, then the tire's diameter will be smaller or deflated. Under these conditions, the tire tread will stick more on the asphalt so the tire feels like dragging. In effect, the engine needs more power to drive the car. The load carried by the car will affect the engine power required to drive the car. So that can be ascertained, the greater the load carried by the car, it needs more power and of course the more wasteful fuel is needed. Therefore, start to lower the useless items from your car. Components and parts in the car have a lifetime to keep working at its optimum point. The closest example is engine oil that has to be routinely replaced. So try not to miss your regular service schedule. So that the components and engine parts such as oil is maintained well for engine performance remains at its best. How to drive a car at night is basically the same as when driving during the day. We need concentration, alertness and of course caution. But the dark night conditions, especially in road conditions that are less light would also increase the risk of things that are not desirable. Whether it's the risk of accidents or the threat of crime. The key, of course, increase concentration and alertness in driving. Evenings also make visibility limited. The use of the main light will certainly help us in driving. But in dark conditions, the car lights that we use and other car lights in front of and behind us sometimes quite disturbing and break down concentration. Especially if the lights are too bright and dazzling. To keep the comfort and safety in driving at night, then here are some driving tips that may be tried. 1. 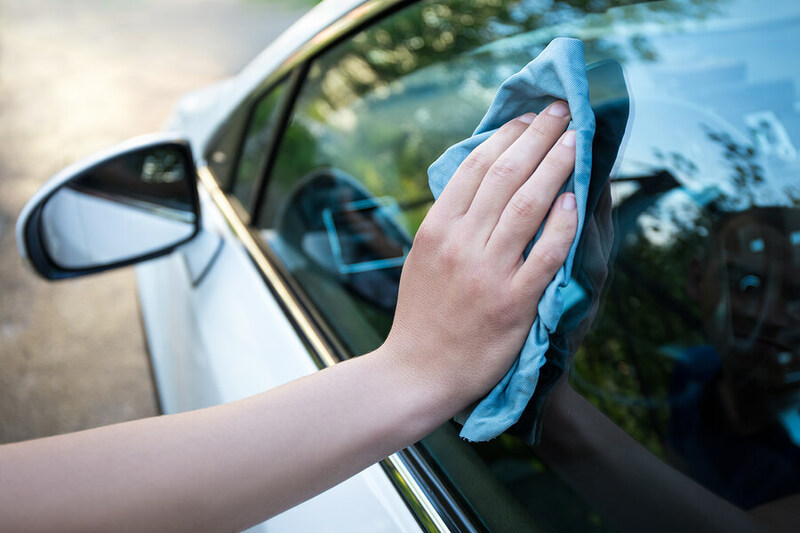 Make sure your car's glass is clean and does not interfere with the view. Dirty car glass will make visibility quite disturbed. Therefore, if you want to drive at night it is good to clean the glass that helps improve our view. Just in case, make sure the glass cleaner container is filled. It would be better if filled with a special liquid car glass cleaner. So you can use it any time the glass is exposed to splashes of water or dirt. 2. Adjust the front lamp beam for optimal. Not a few people who have car lights with a less fair height. Whether it's too low, or too up. If it is too low, you will not be able to see the streets properly. But if too up, it will disrupt other riders, especially the opposite direction. Set the height of this lamp in a trusted workshop. 3. Use lamps with good lighting quality. The light bulb of the car now has many models and types. Make sure you use the bulb in good condition with good light quality too. Good quality is capable of illuminating on the road well but does not make the rider in front of you to be dazzled and disturbed. Good lights will be disrupted even if the performance of the glass headlights in dirty conditions. Therefore, clean the glass lights properly so that the car lights can come out and illuminate the road well. You can wash this glass, or use a glass cleaner. 4. As much as possible keep your car's condition clean when going on a trip. Paint car that is clean and not covered with dirt like dust will have the nature of relevtive and able to reflect light well. Thus, other riders can see your presence clearly and can keep a good distance, especially when it will cut the road. 5. Avoid using film glass that is too dark. 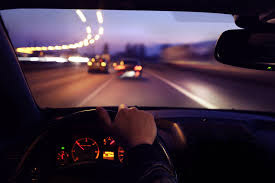 When driving at night, the use of window film would have more influence visibility and visibility than driving during the daytime. The recommended darkness measures are 20% on the windshield and 40% for side glass and rear glass. There are many types of roads that we will pass while driving. Could be a crowded urban streets and traffic jams, mountain roads can also rise and fall steeply. Driving a car in a mountainous area is great fun. In addition to the cooler air, the streets also tend to be more lenggang. However, driving a car on the uphill and descending roads such as in the mountains requires concentration and a capable driving ability. You should be able to watch out for bends when the road is uphill or downhill, through uphill roads that may require us to stop in the middle of the journey and also the steep downhill streets. If not familiar, of course there are many risks that could arise. Let's say a vehicle that even goes backwards until the brakes get too hot and become blong. For that, here are some tips that may be considered if you will drive on the mountain roads uphill and downhill. Mountain trails that tend to climb and decline, and sharp turns will force the car to work harder than your usual terrain. Therefore, make sure the car that you will drive in a prime condition. Check all components before traveling. Some of the components to be examined are brakes, radiators, couplings and tires. Of course you still have to make sure the machine is in a condition that is ready to travel. After making sure the car is in top condition, then make sure you are also in a healthy and fit state to drive and travel. Up and down and sharp turns require quick response and high concentration. Especially if you are not familiar with the path. To make it easier to travel, learn the terrain that will be passed. Usually certain pathways have vital points like steep palines or rest areas. You can do small-scale research using the internet or use GPS that has been updated database. For the climb path, try driving with the transmission or gear in a low position. Thus, the car engine will work at a high RPM to gain sufficient energy in the uphill track. Especially when the climb is long and steep. This condition will also force the car to consume more fuel. Therefore, prepare a car with a fuel condition that is fully charged. When going through the bend, make sure you have reduced speed or slow down your car. Never cut or overtake the vehicle in front of you while in the bend area. It is very dangerous and high risk. If deemed necessary, then honking to alert the vehicle going from the opposite direction. If the path traversed is predominantly derived, to slow or stop the car then make it a habit to use the engine brake or engine brake. Thus, you have helped reduce the workload on your car's brakes. You can read how to do a car brake engine, either for manual or matic. Always position your car at a safe distance by car or vehicle in front of you. Be sure to always drive on the left lane and do not get too central. If you feel tired, take a break and get out of the car to recover the condition. Those are some car driving tips on the uphill and downhill paths typical of the mountains. The most important is the prime conditions for you and your car, as well as the concentration on the journey.